job too large for the Eagle Bob Tail. the Eagle Bob Tail delivers. 50 years ago, Eagle Tugs was the original designer and manufacturer of Bobtail Tractors. Today, Eagle Bobtail Tractors are still the leaders in high-speed cargo towing; most of the top cargo handlers use Eagle Bobtails for their long-distance cargo hauling needs. Eagle Bobtail Tractors are built on Ford Super-duty Chassis, which have over 100 years of automobile manufacturing experience instilled in their design. 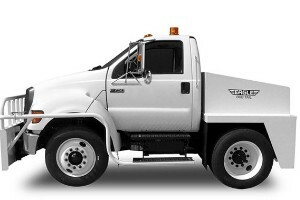 Eagle takes the already robust Ford chassis and shortens and strengthens the drive train, and "up-fits" the chassis into the most reliable high-speed cargo tractor on the market. The result is a high-speed cargo tractor that can reliably tow more weight at higher speeds, is more comfortable for operators, and that lasts more than three times longer than traditional cargo tractors. Choose from our models including the EB2-8 Bobtail Tractor, and the EB2-10 Bobtail Tractor, and more. Are you looking for other electric tug equipment? Eagle Tugs also offers aircraft tugs and towbarless tugs. 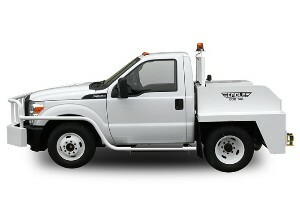 Get a quote today at Eagle Tugs!